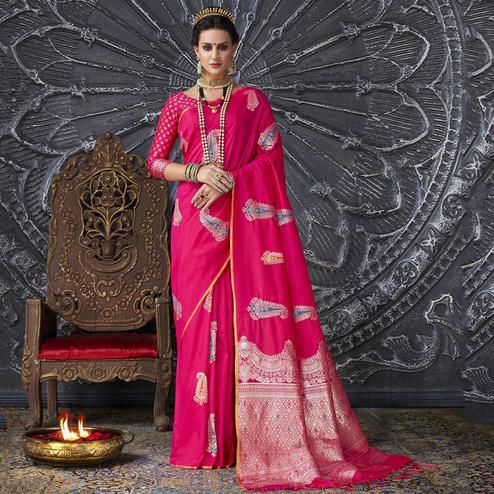 You Look elegant and stylish this festive season by draping this pink color coated silk fabrics saree. Ideal for party, festive & social gatherings. 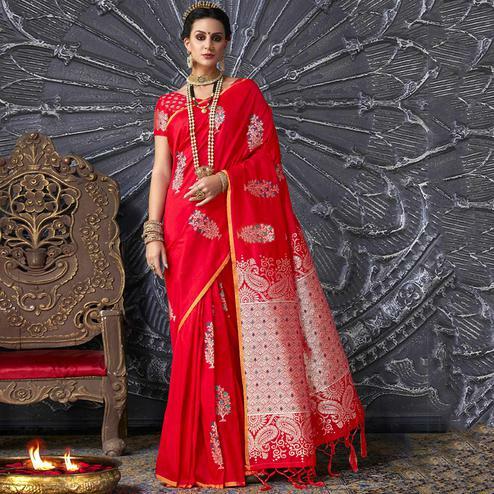 this gorgeous saree featuring a beautiful mix of designs. Its attractive color and designer patch, moti, stone, floral design work over the attire & contrast hemline adds to the look. 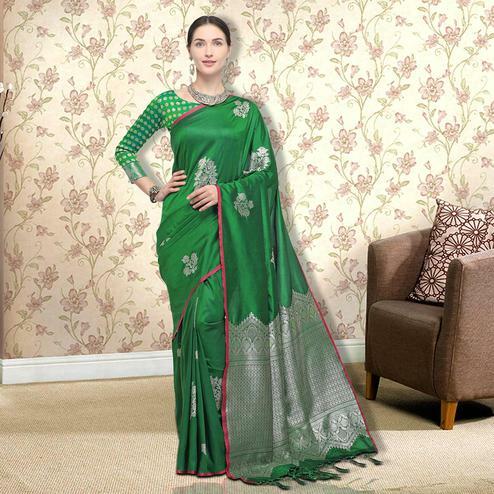 Comes along with a contrast unstitched blouse.